The month of November always gets us thinking about the many things we have to be thankful for; after all, we do set aside an entire day just to give thanks! In keeping with the spirit of gratitude, we’d like to take this opportunity to list just a few of the things we’re thankful for. First, we’re incredibly thankful for our happy to serve team members who work so hard to make dining at Stonefire Grill feel like home. We’re also very grateful to open our newest location in Brea opening later this month. However, what we are most thankful for are the wonderful guests who choose Stonefire Grill for great family dining, catering and takeout. So, to show you all just how much we appreciate your patronage this year, once again, we are making Thanksgiving preparations a bit easier for you with Mashed Potato Wednesday! What’s Mashed Potato Wednesday? Every year we offer to help our guests cross one more thing off their Thanksgiving “to-do” list by preparing our signature Garlic Mashed Potatoes ready to be freshly baked the next day. . We offer both Full and Half pans of our signature Garlic Mashed Potatoes as the perfect side for your Thanksgiving meal. If you’re feeding a crowd of 30 -45 people, you’ll want to order our large pan for $59.99. If you’re expecting a smaller crowd of 10-15, our half pan at $29.99, will be plenty. Call our dedicated catering specialists at 888.649.5783 to place your order, then come into the Stonefire location closest to you and pick them up on the Wednesday before Thanksgiving. You’ll get them cold and ready to go right into the oven to bake fresh at home on Thanksgiving Day. They’ll think you made them! 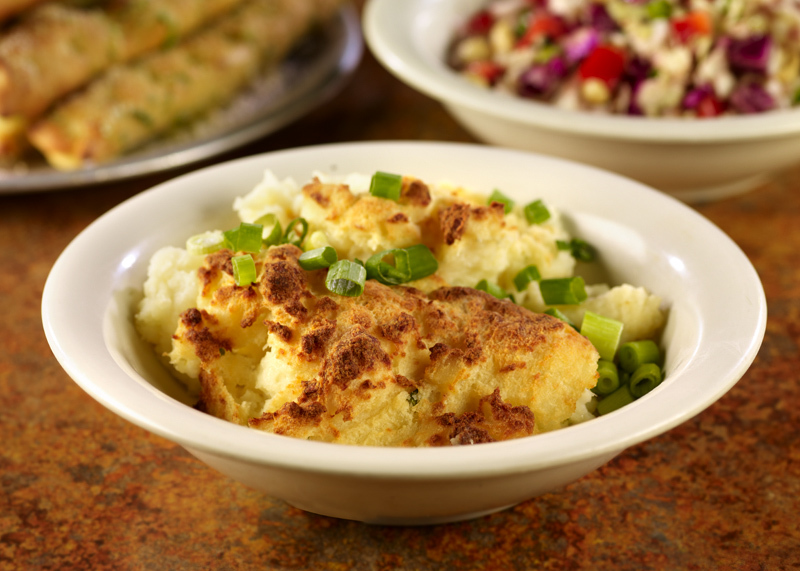 Place your order now and we’ll see you on Mashed Potato Wednesday!